I've never been a huge bell pepper fan. Frankly, I almost despise green peppers and red peppers seem to be there simply for texture or to add a little color. However, once I discovered roasted red peppers, my mind was changed on the about the over-hyped bell pepper ... the red ones anyways, I still don't have much use for green peppers except for veggie trays and sauces that is! 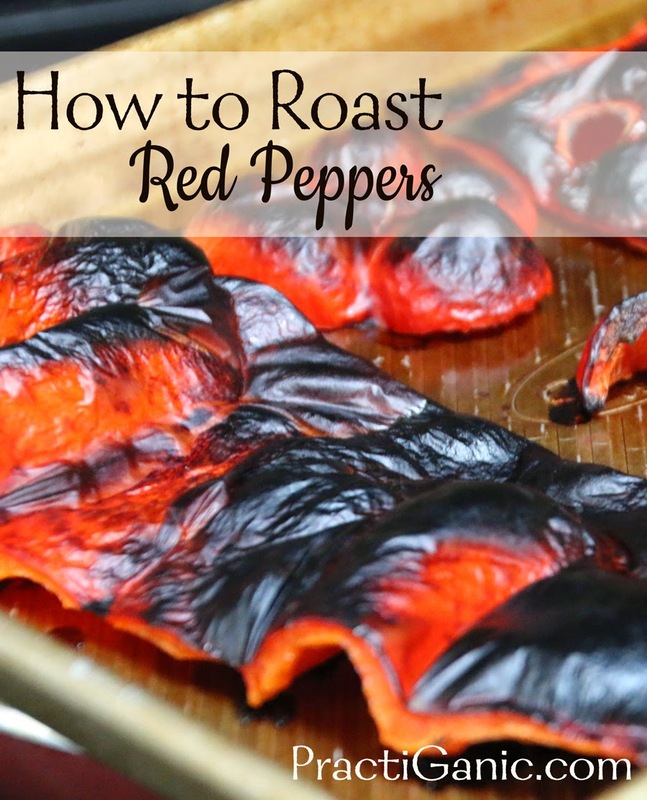 Red peppers have such a wonderful flavor once they are roasted. It's a magical transformation!, but I found myself only buying them for special occasions or if I really wanted to make a certain recipe because they are actually quite expensive. As with most things in life, it's cheaper (and better) when made homemade, so I finally brought myself to make them at home. Once I was done, I remember kicking myself because it was so easy to do and the flavor was just as good as store bought roasted red peppers. Ah, the money that I wasted! I remember a few years ago when I girlfriend was over and she commented, 'Sorry to distract you and make you burn your peppers.' After telling her I burned them on purpose, her mind was blown too. 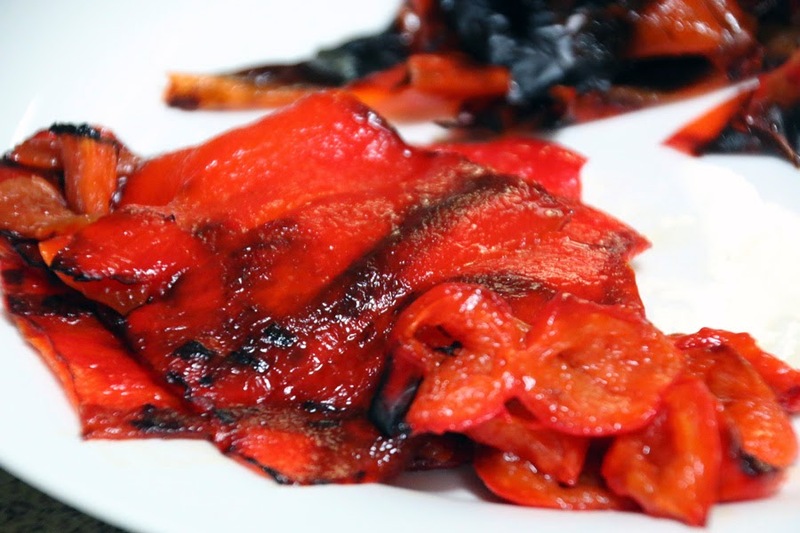 I hope you now get to enjoy homemade roasted red peppers, but don't kick yourself like I did, simply enjoy the flavor and self-satisfaction or doing it yourself! Turn your top broiler on. Trim your peppers cutting the seeds and veins out of the pepper. 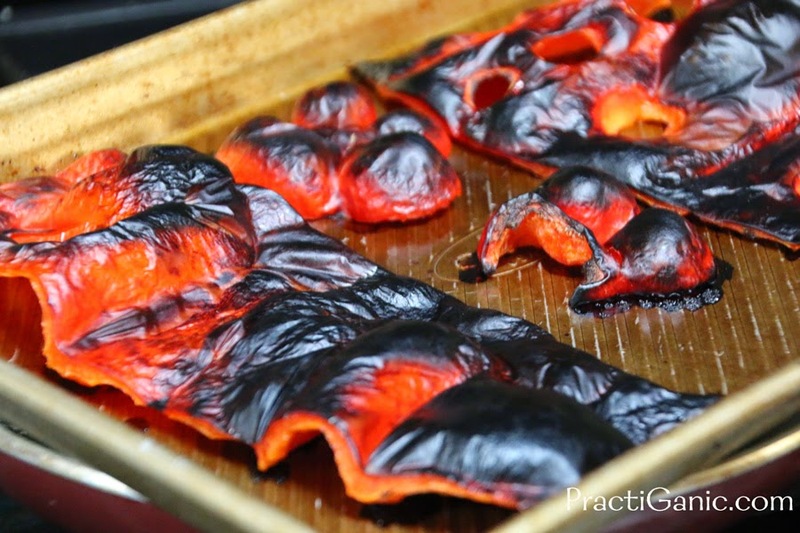 Lay peppers, skin side up, on a sheet tray that is lined with aluminum foil. Broil them until the tops are nice and burnt. You will think you want to take them out, but let the burn a bit ... TuPac said it best, 'the blacker the better, the sweeter the juice'. Just don't burn them to a crisp! Once they are nice and dark, remove them from the oven. Using a tongs, place them in an airtight container, and put them in the refrigerator for 15-20 minutes (tupperware works great). This will cool them down and sweat off the skin so it easily peels off the pepper. Once cooled, simply remove the outer peel off the pepper and enjoy! This is how your red peppers look when they are ready to come out of the oven. The skins will then peel right off after spending a little time in the fridge!